Wave Hill baker Tim with his sourdough loaves. I was ogling the bread, as I usually do, when our friend Diane said, “Semifreddie’s is the best sourdough in San Francisco.” We were visiting family in California and had stopped for a neighborhood lunch in the Outer Sunset district. Sourdough bread is a big deal in the Bay Area, so calling this one the best was a bold statement. The Other Avenues food cooperative, seller of this acclaimed loaf, was on the way as we walked back. In any food store I always gravitate to the bakery section, especially in one like this with close ties to local sources. A display case of muffins called to me (had to have one for later) but I missed the bread until it was pointed out – a pile of loaves stacked on a table. 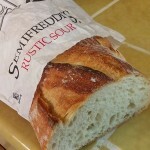 Semifreddie’s bakery started in 1984 in a tiny space with one sourdough recipe and four products. 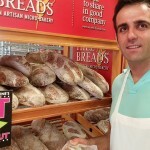 It has grown to become an important regional baker with a large product list, wide distribution, and the same commitment to quality as in 1984. 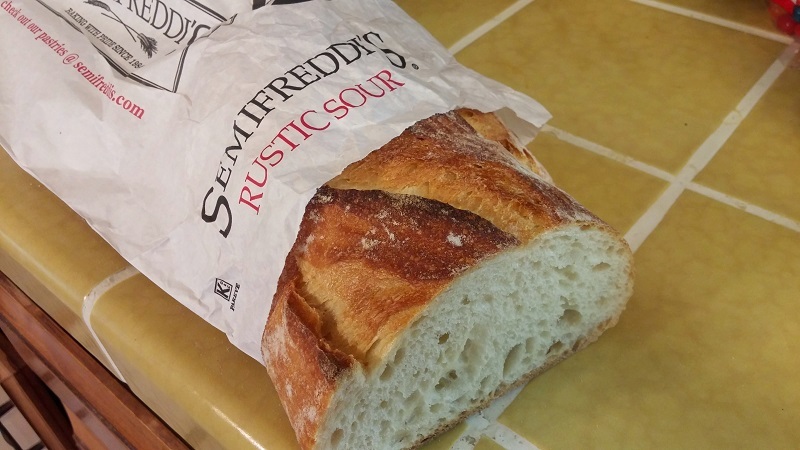 With a big local following, Semifreddie’s is always on lists of the best sourdough loaves. 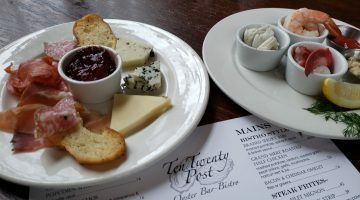 Choosing a “Best Of” includes a lot of personal preference and subjective tasting: thick or thin crust; more or less sour; the size and shape of the loaf. Some prefer a darker loaf, dark almost to the point of burned, while others prefer a golden crust. The Semifreddi’s was definitely a contender! 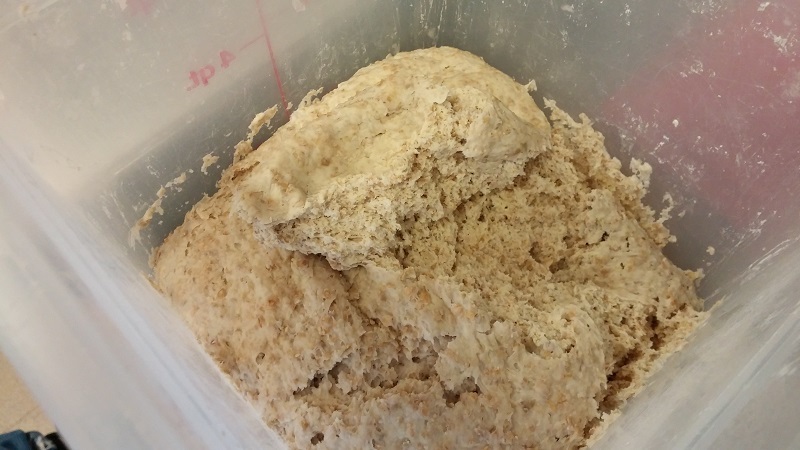 Sourdough bread is made from a starter – a mix of flour, water, wild yeasts and friendly bacteria – to leaven the bread. 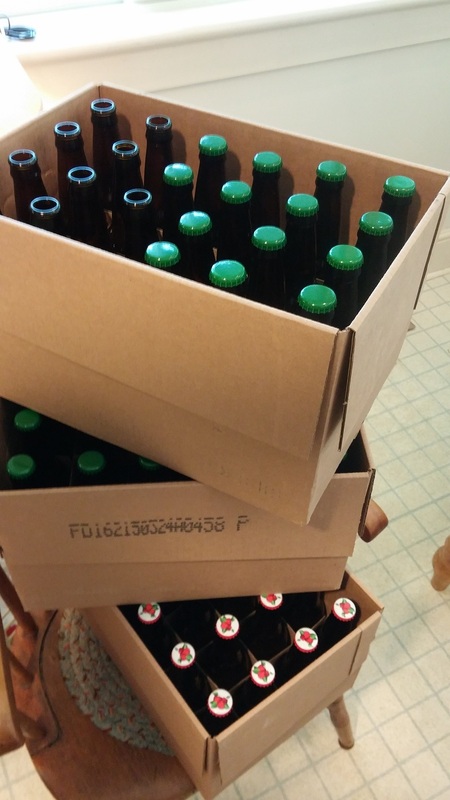 Commercial yeast is not used. 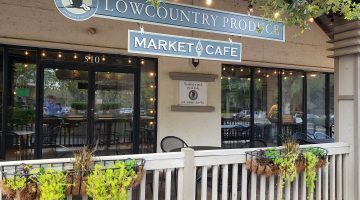 Each bakery has its own starter, which is based on a proprietary formula, carefully nurtured over many years, and cultivated to give the desired flavor. 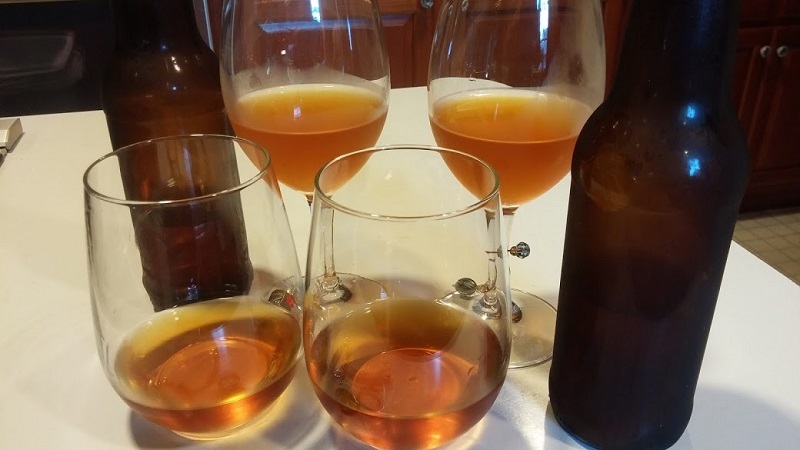 During the fermentation process the Lactobacilli also produce lactic acid for a rich flavor and acetic acid that gives the sour tang. 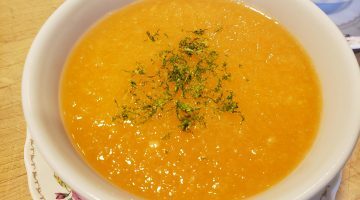 Experienced bakers can manage the starter with temperature and ingredients to give their bread the desired level of sourness. Each starter flavors the bread in its own unique way. 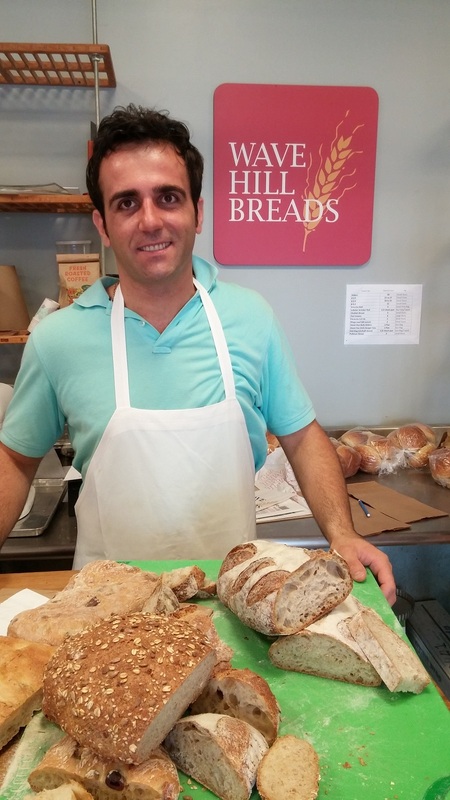 Locally, the artisan bakers at Wave Hill Breads in Norwalk have just recently added a sourdough loaf to their lineup. 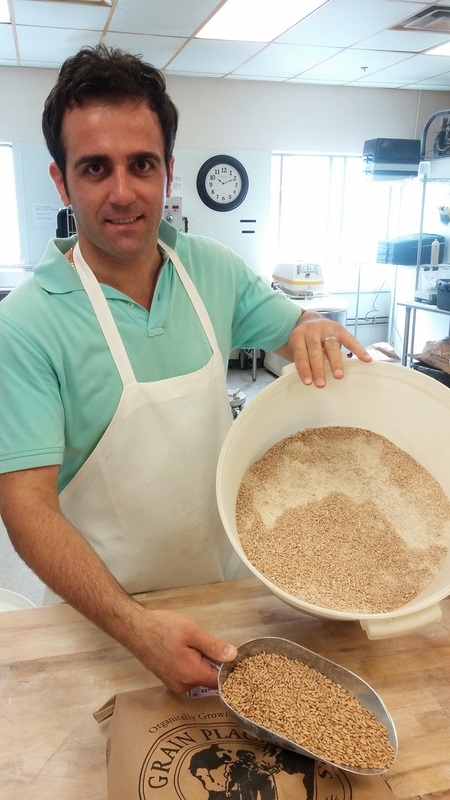 Owners Margaret Sapir and Mitch Rappaport learned to bake their acclaimed French style loaves from master baker Gerard Rubaud in Vermont. Recently they sent their bakers back to Rubaud to learn the secrets of sourdough. Less sour than some of the west coast breads, their starter comes from wild yeasts found in the environment and on the surface of the whole grains they mill at the bakery. 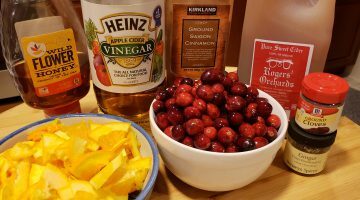 According to Margaret, “Very sour flavors are hard to match with other foods. Milder sourdough breads are better at the table.” Their sourdough loaves have a nice tang that doesn’t overwhelm. 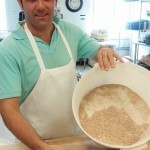 Organic spelt, whole grain and milled. I had a chance to visit with Tim, the head baker at Wave Hill. 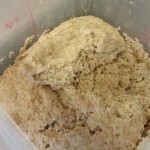 He showed me his sourdough starter, actually he keeps two so there is always a backup. A blend of organic rye flour, organic spelt milled on site, and King Arthur bread flour feeds the starter several times a day. I was surprised at how dry and stiff it was. I’m not sure why, but I was expecting something more soft and runny. 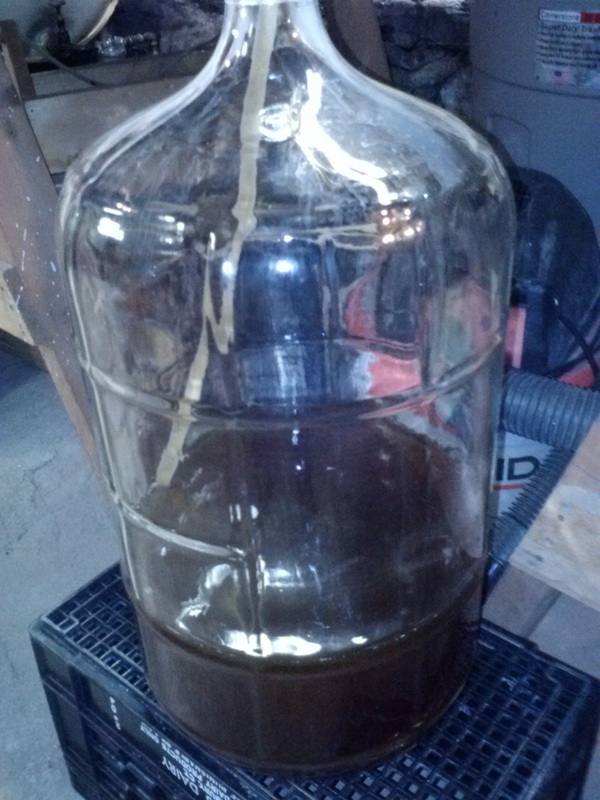 Managing the starter depends on temperature, humidity, season, and the weather outside. This is where experience pays off. The Wave Hill sourdough baking process takes 12 or 13 hours from start to finish. It’s only baked on days when the long procedure can be fit into their work schedule. Making bread at this high quality level requires years of training and experience. Monitoring the dough as it proofs (rises), hand shaping the loaves, timing the second rise, and finally getting it into the oven are all part of the baker’s art. 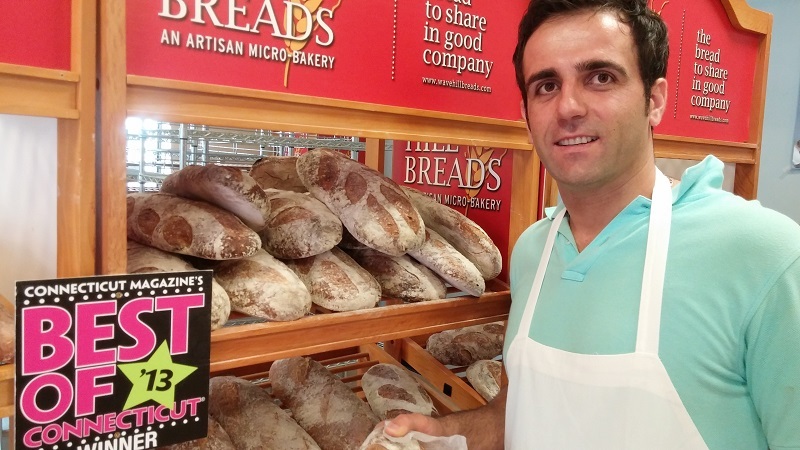 When looking at a loaf of bread, Tim can assess the experience of the baker who made it just from the appearance. He earned his chops in Italy and continued his training with Rubaud in Vermont. Wave Hill sourdough is delicious, every bit as good as the Semifreddie’s in San Francisco, but at the same time quite different. 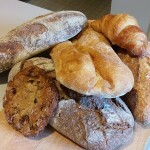 In addition to sourdough, their core breads are: Three Grain French Country Batard; American Whole Grain Multi-Grain; and Three Grain Olive & Roasted Red Pepper. 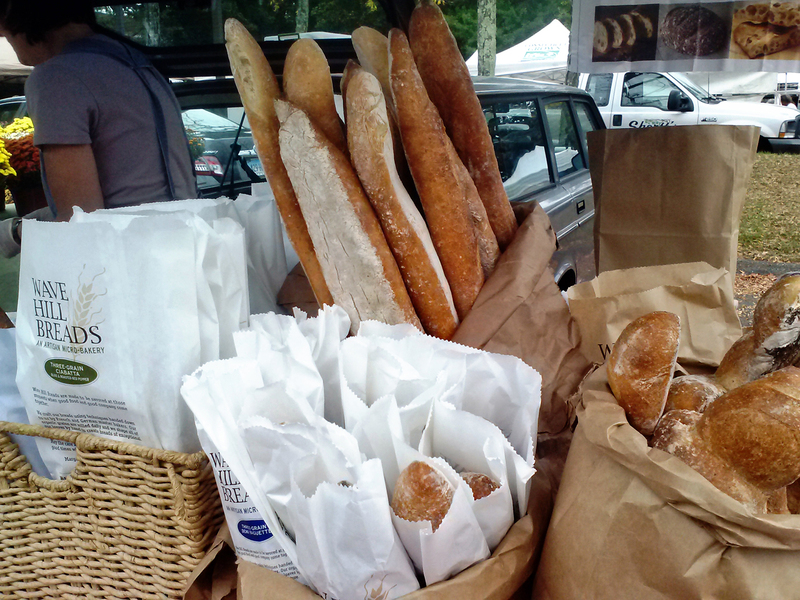 They also have a stunning Focaccia just baked for Saturdays at the store and for Farmer’s markets, seasonal breads, some pan loaves, and a few sweet treats like cookies and croissants. 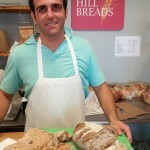 Visit www.wavehillbreads.com for store hours and a list of farmer’s markets where they sell. You’ll want to get some. 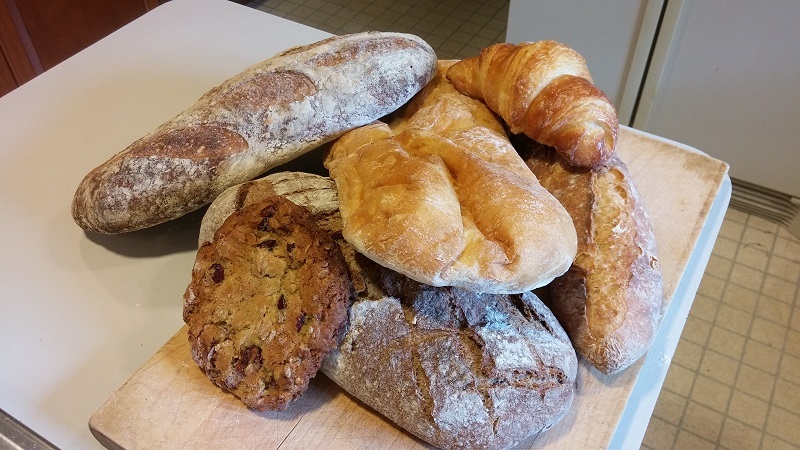 I love to go to bakeries: to step in the door and take a deep breath of the warm, yeasty, flour-y aroma; to see the loaves stacked on rack and filling bins; to scan the selection of types, shapes and flavors; to go home with a few flavorful loaves and a couple of sweet treats. It’s a thrill for me. Either a west coast sourdough at the local co-op or a handmade loaf from our in-town bakery, I love them all. No lo-carb life for me!